It’s unnerving for any parent to watch as their child suffers in pain and agony during the teething process. You want to help however you can because you want them to feel better. But you need to be careful when deciding on what to offer your child to chew on during this stage of their oral development. On the “to-avoid” list is teething jewelry. The U.S. Food and Drug Administration (FDA) recently warned parents not to use this jewelry, which includes necklaces, bracelets, and other items, because it can be dangerous. There have been reports of deaths and serious injuries. In one case, a 7-month-old choked on the beads of a wooden teething bracelet while under supervision, according to ADA News. Another child, an 18-month-old, died after being strangled by his teething necklace while sleeping. These products are made out of materials such as marble, silicone, amber, or wood. They are specifically marketed for relieving teething pain and providing stimulation for people with special needs. Take one finger and gently rub or massage the gums. Clean your baby’s mouth with a damp gauze pad three or four times per day. Give them a teething ring made of rubber. While teething, your child may lose their appetite. It’s nothing to be alarmed about. Their appetite will return to normal when they are ready. 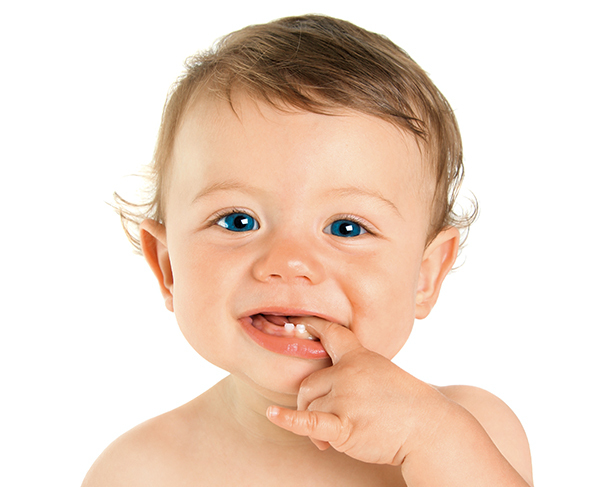 Have questions about the teething process? Just ask during your next visit to Frangella Cosmetic and General Dentistry or call us.